I was eleven years old when I drove a tractor for the first time, hesitantly stopping and starting up and down the field pulling a trailer which was gradually being stacked with straw bales by hand using a pitchfork, no mechanical loaders and big bales in those days. It was an old Fordson Major which might not mean much to some people reading this but like me it has become an old classic. My next agricultural role was stacking the hay bales as they came out of the back of a baler on to a towed sled with my best pal from school whose dad owned the farm. It was probably the hardest physical work I have ever done. Despite being exhausted and blistered at the end of the day we were elated at the achievement. Probably wouldn’t be allowed by the health and safety gestapo today. So having lived on a farm at such a young age and in the countryside for most of my life, involved in country sports and socialising over the years with people whose livelihoods come from the soil, it would be fair to assume I am reasonably up to date with modern day farming methods. 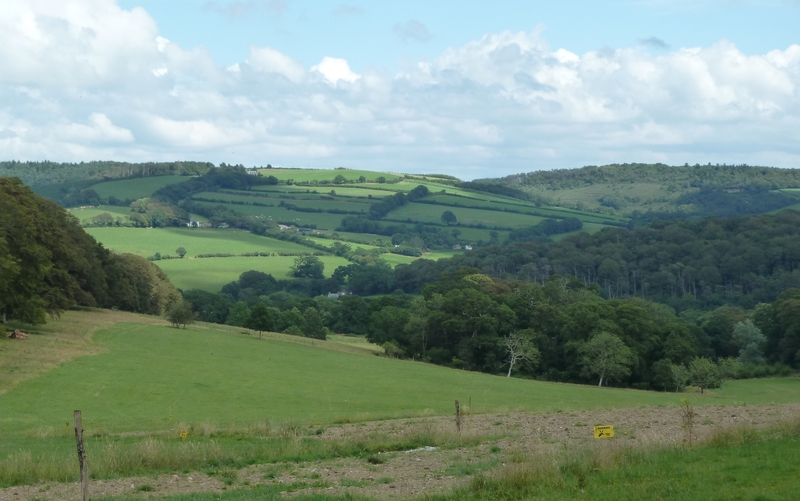 Since finding our new home in Devon, I have become a member of a local organisation who describe themselves as “the largest rural retailer in the UK” and as a result I receive their monthly newsletter. This informative journal with its array of specialist articles relating to the agricultural population has truly been an eye opener for me. I now realise that whilst I appreciate the hard work involved in trying to earn a reasonable living from the land working long unsociable hours, I had not kept up with or understood the science involved in modern farming today to achieve a modicum of success in any chosen discipline. Included in the farm shop magazine are numerous offers available in the comprehensively stocked stores ranging from chain saws to animal feed but it is the technical articles, dealing for example in areas such as the importance of iodine in the diet of milk producing herds, the variability of yield in cereal varieties and optimisation of grass pastures using soil conditioning that are the most illuminating. The effects of LED lighting and ventilation systems in livestock sheds to improve milk revenues, a topical subject at the moment, water powered ram pumps automatically distributing water around the farm and essential clamp management for maize silage are other areas that feature, supporting the farmer in trying to improve returns in an increasingly competitive market. Farming nowadays is big business with a continual pressure to perform. As you might imagine the extensive advert section is also diverse offering for example a “blonde bull ready to work”, “freeze branding & concrete grooving” and “wanted, old shepherds hut, any condition will collect”. 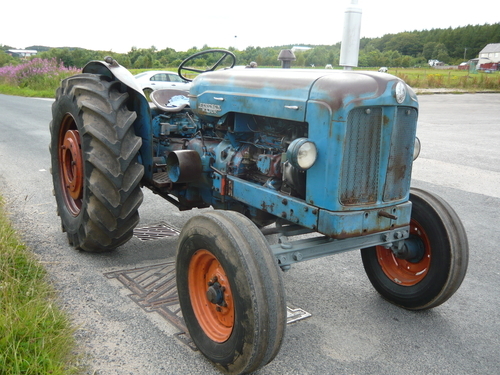 Unfortunately I didn’t see any Fordson Major tractors for sale. So, to the point of today’s post. There is a substantial amount of effort and energy expended in farming across Devon but as I have recently learned it includes a lot of scientific technology as well as good old fashioned common sense know how that has come an unbelievable distance since my first drive across the corn field on that classic work horse all those years ago. Next time you are out and about in the Devon countryside admiring the unique and beautiful landscape, marvelling at the neat hedges and well maintained gateways not to mention the healthy contented animals grazing on the lush pastures, give a thought towards the not inconsiderable skill, knowledge and effort that has gone into making that scene look so natural by the land owner. Enjoy the vista and wonder at the achievement.